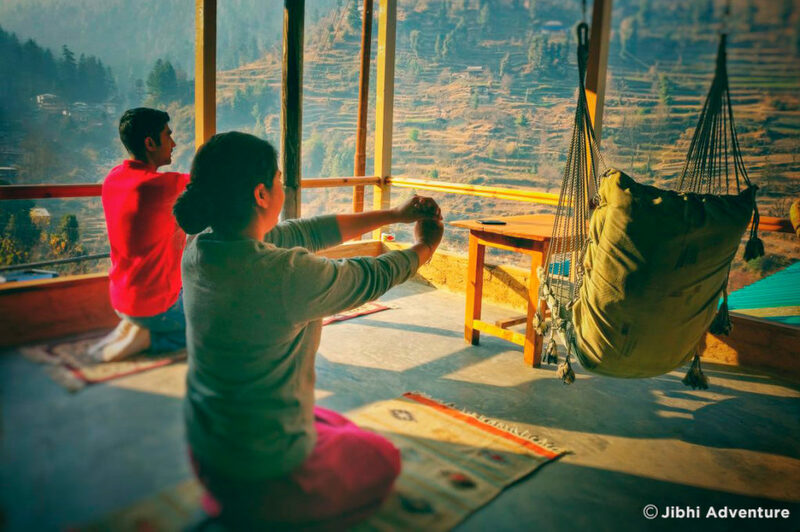 Leena’s Place is a home stay in the delightful village of Jibhi in the Kullu District of Himachal Pradesh. 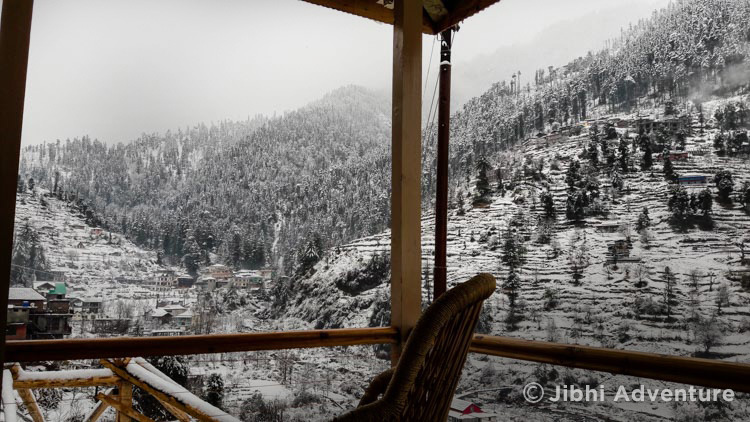 With a mere 300-400 residents scattered around the surrounding hills, Jibhi is a refuge of peace and serenity. Within easy hiking distance from Jibhi are waterfalls, forests, numerous charming traditional villages, forts, temples and Jalori Pass. There is so much to do around here. We can arrange hiking, trekking, fishing; rock climbing, birding and lots more. Or, if you are so inclined, you can just relax and laze around, or meditate and do yoga. The tranquility and peaceful environment of this place is fabulously nourishing to the soul.In the evening you can sit by the bonfire. If you wish, we can organize a sweat lodge, which is a real treat. The local life style and culture is fascinating, and the local people are friendly and welcoming. There are many social events and festivals you can participate in. Check with us to find out about the upcoming happenings in the surroundings. Leena’s Place is nicely situated amidst of three acres land with a private spring water garden Pond to dip in and a refreshing water fall , about 500 meters from the main part of the village. If you are longing for a good night’s sleep, this is the perfect place. The nights are almost completely silent except for the distant murmuring of the river and the water fall, which will lull you to sleep. 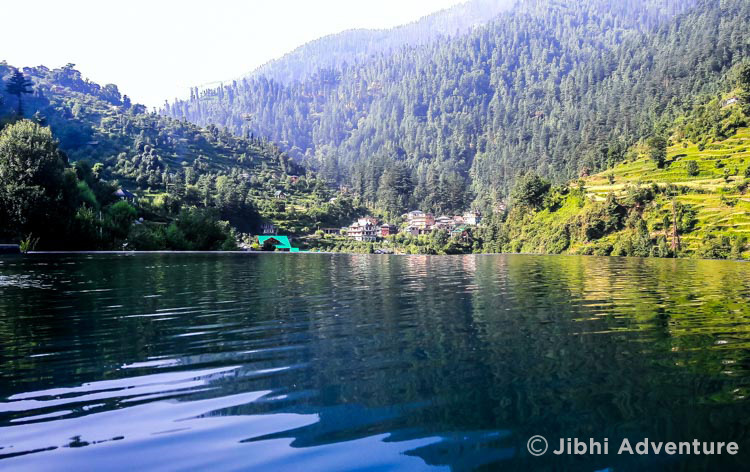 Jibhi is situated at nearly 1775 mtr. with a pleasant climate. There is very little traffic through the village, so the air is wonderfully pure. 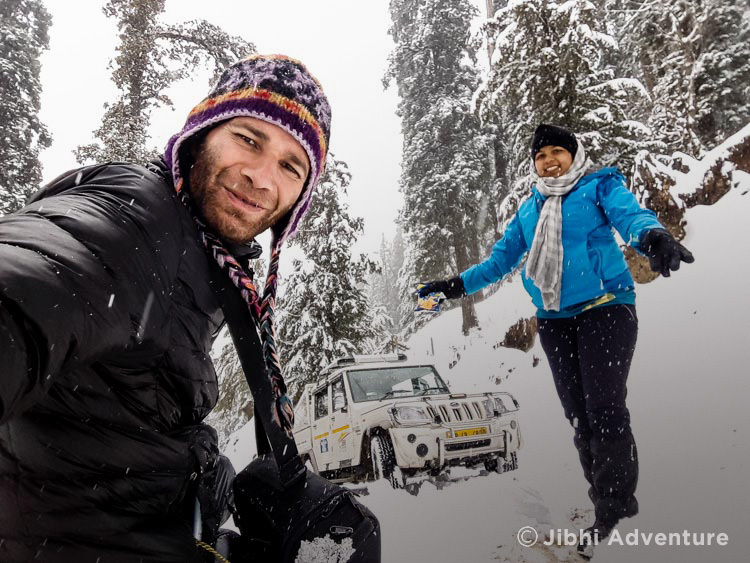 Jibhi may be a bit remote, but it’s so worth the effort to get here. We have total of five rooms, each with modern attached bathrooms. The rooms have traditional mud-coated walls with wood ceilings and trim. Each room has a private balcony with a beautiful view of the mountains, valley and the Jibhi River, which is about 100 meters below. WiFi is available throughout the house. We aim to make our home as friendly and welcoming as possible and we are succeeding because people always tell us how much they enjoy staying with us. We heartily subscribe to the philosophy that the guest is god, Atithi devo bhava. You may come as a stranger, but by the time you leave, you’ll feel like you have a new family. We serve food from our family kitchen cooked with many ingredients from our own organic garden and orchard. 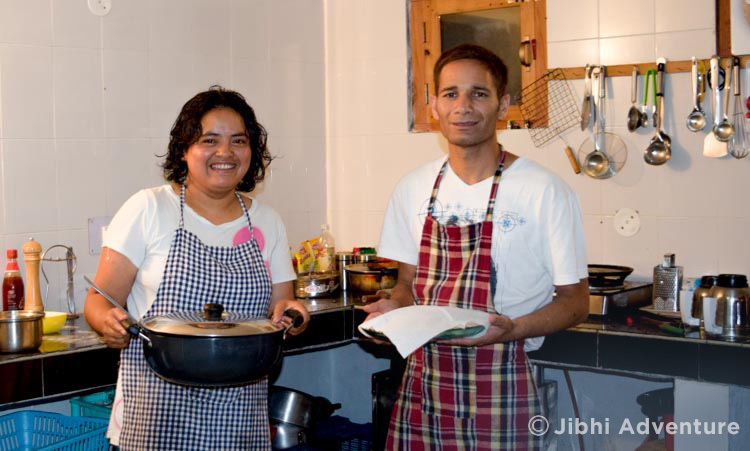 Be sure to ask for some of our local delicacies, like siddu or lingri. You can also cook for yourself if you so desire. Man of the house, Since he was a small child, Lalit has been roaming around the mountains with great enthusiasm, and there is hardly a place in the area that he has not been. He climbed his first mountain at age six and has never looked back. 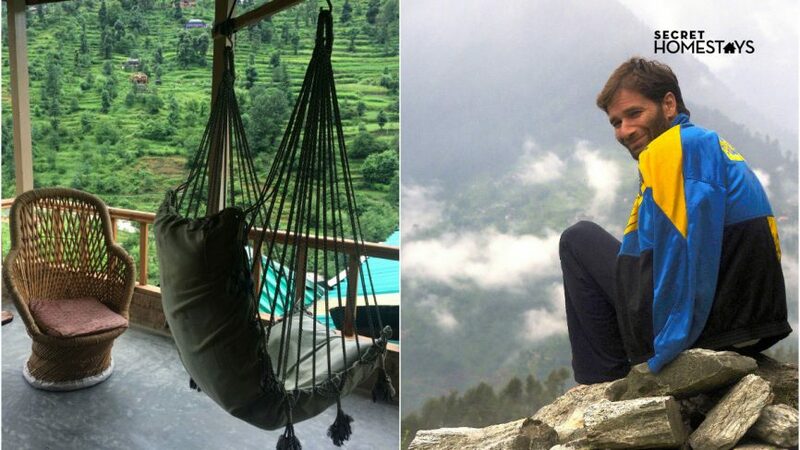 After graduating with a degree in tourism studies from Central University, Delhi, he completed mountaineering courses from Atal Bihari Mountaineering Institute in Manali, including both instructor and rescue courses. Lalit will keep you busy with his stories and tales of adventure if you are interested, if not he will keep himself occupied with the back stage work. Leena is the Lady of the house she cooks amazing meals, with the help of Goldi, Lata, Addi and Amira the beautiful daughters in the house. Leena is a great story teller and fun loving lively personality loves to socialize.